Solar attic fans harness the power of the sun. 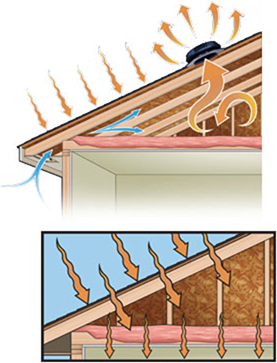 Solar Star Attic Fans cost nothing to operate and are virtually maintenance-free. They require no electrical wiring, making them easy to install and maintain. Solar Attic Fans prevent heat and moisture from reaching critical levels so your attic stays cool and dry. As a result, you get greater comfort, lower utility bills and prolonged roof life. As the leader in solar-powered attic ventilation systems, Solar Star offers technologically advanced and eco-friendly solutions that deliver comfort and peace of mind. 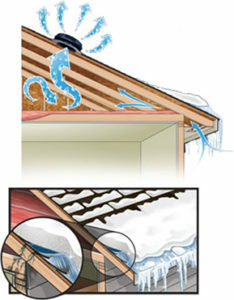 Heat and moisture are your enemies when it comes to your home. Solar Star Attic Fans neutralize moisture and drive out heat, keeping your home cool in summer and protecting it from harm during the winter. A Solar Star Attic Fan helps to solve these problems by removing excess heat from your home, giving you a more comfortable interior and lower energy bills. A Solar Star Attic Fan helps to prevent these potentially disastrous issues by equalizing interior and exterior temperatures, safeguarding your home. Connect with us today to get arrange a visit to assess your home for a solar attic fan installation, now starting at only $899.99. Or are you ready to make full use of the sun to power your home? Learn more about solar electric systems that use solar panels to provide energy for your whole home.